According to The World Bank, since the 1990s, Chile has been one of the best managed and fastest growing economies in Latin America. Chile was the first South American country to join the Organization for Economic Cooperation and Development (OECD) and is the most stable country in the region. Mining has traditionally been one of Chiles strongest industries, however, in recent times, new sectors have emerged. We have identified a new and uprising market trend in Chile’s biotechnology industry, offering investment opportunities in different biotechnological sectors, such as in the mining and energy sector. What is Biotechnology? In simple terms, biotechnology is technology based on biology. Biotechnology involves living systems and organisms which are used to create technologies and products that improve the lives of humans in addition to the overall health of planet earth. Humans have used biotechnology for hundreds of years in areas such as agriculture and food production, however, in recent times, it has evolved to include things such as pharmaceutical therapies and diagnostic tests. This article outlines Chile’s economic growth, gives insights into the growing biotechnology industry and outlines the reasons why keen companies with great business acumen should invest in the Chilean biotechnology sector. Chile’s economy is growing steadily and has the highest level of GDP per capita within the region, projected to grow by 2% in 2017, making it a world-leading destination. Chile is an important country in South America and is ranked high in indexes such as the index of economic freedom and the World’s Bank rankings of ease of doing business. Moreover, Chile is a globally connected country, has well-developed financial markets, good political relations and favourable laws which encourage foreign participation. Within South America, Chile is ranked second in terms of foreign direct investment (FDI) after Brazil. Due to its attractive business climate, its low level of risk and its competitiveness worldwide it is one of the best economies for FDI. As mentioned above, Chile has one of the most important economies in South America and worldwide. In addition to the mining and agricultural industry, the biotechnology industry is developing and offers bright future prospects for investments. Chile is a leading player in the biotechnology industry sector worldwide and in the country, over 200 biotechnology companies operate in different business sectors, including health, mining and agriculture. The biotechnology sector is one of Chile’s most promising sectors and an emerging market. Currently, Chile has 11 active universities and various international centres focusing on biotechnology and R&D. The Chilean government offers support and tax incentives, for R&D processes and for the development of biotechnological businesses. According to the Chilean Association of biotechnology (ASEMBIO), the sector is growing annually by approx. 30%. An interesting and significant area for biotechnology developments represents the area of biomining, where environmental friendly methods are used to dissolve metals, such as copper. For foreign mining companies or mining services companies, this presents a great opportunity, one that many foreign companies are already taking advantage of. Another emerging area for investments is in the area of Biofuels, which recently received a public investment of over USD$30 million. Overall it can be said that the biotechnology sector is highly important to industries such as the health, energy, mining and agricultural sector, and will only continue to grow over the coming years. Need Further Information on Doing Business in Chile? Chile is, and will remain to be one of the most attractive regions in Latam for years to come. Government commitment to foreign investment creates an extremely attractive business environment for foreign companies looking to establish operations in the region. Are you interested in investing in Chile? If so, reach out to the Biz Latin Hub Group. Our team in Chile have ample experience in helping foreign companies to invest, set-up their business and successfully penetrate their desired Chilean market. Reach out to our Country Manager, Allan at contac[email protected], to see how our tailored market-entry and back-office services can assist you and your business in Chile. 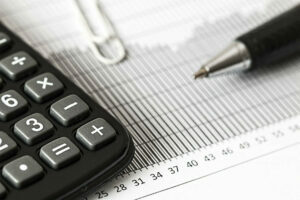 Unsure of your taxation and accounting requirements in Chile? Watch the short presentation below created by our accounting team in Santiago de Chile.